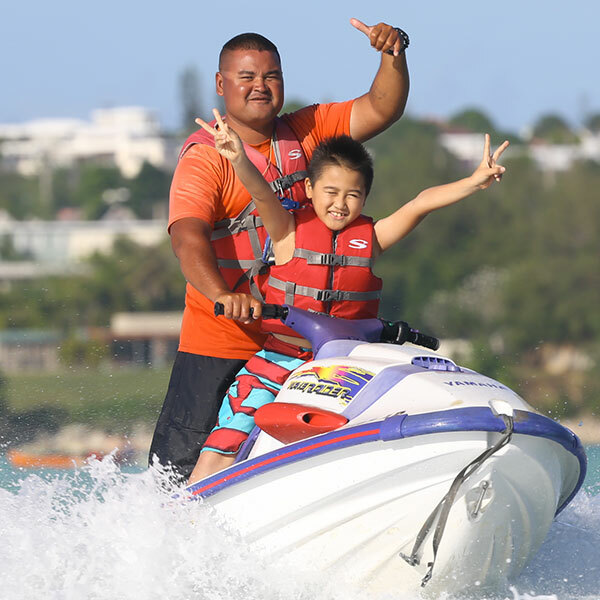 Ride your own Jet Ski at ABC! It’s a fun feeling cruising on the water. 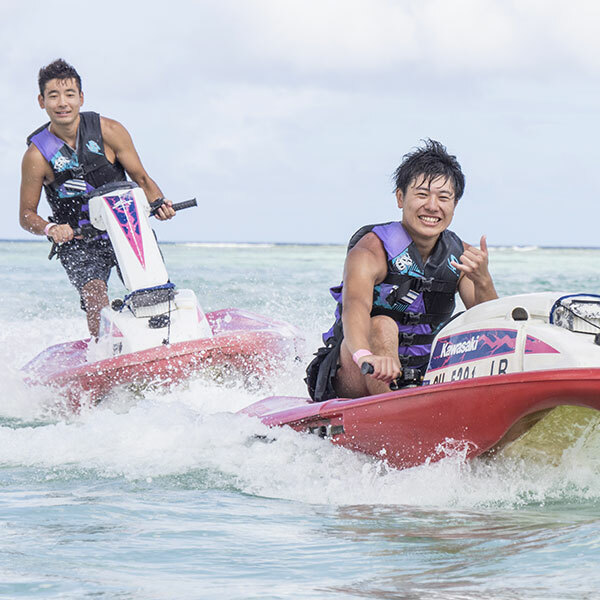 Jet Skiing is a fun and very exciting option at ABC! First, you will receive an instructional briefing from one of our very friendly staff. Next, you will ride your own Jet Ski, you will not be sharing. You can choose to stand up or sit down on our unique Jet Skis. It allows the comfort of a seated position or the classic standing racing position! At ABC, we have taught more than 750,000 people how to Jet Ski. Only at ABC will you have this unique one-person Jet Ski. ABC’s Jet Ski course is large and safe. 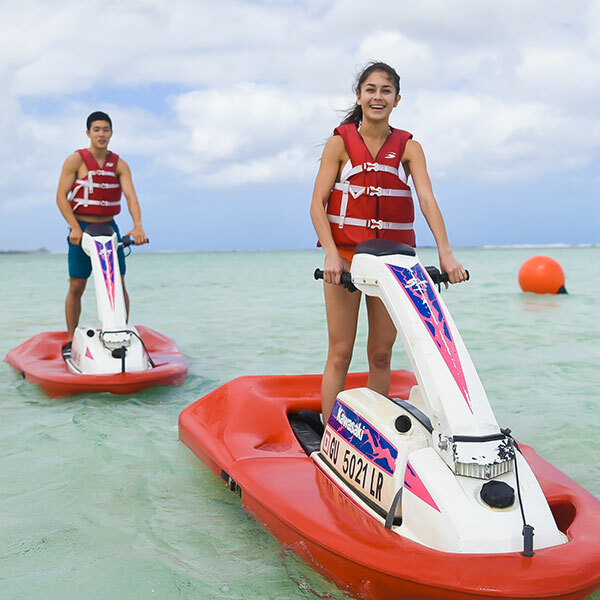 Jet Skiing at ABC gives you that exhilarating feeling of jetting across Guam’s beautiful waters. ABC provides a large course that has seen over 750,000 people Jet Ski. ABC’s Jet Ski is unique in it’s build. 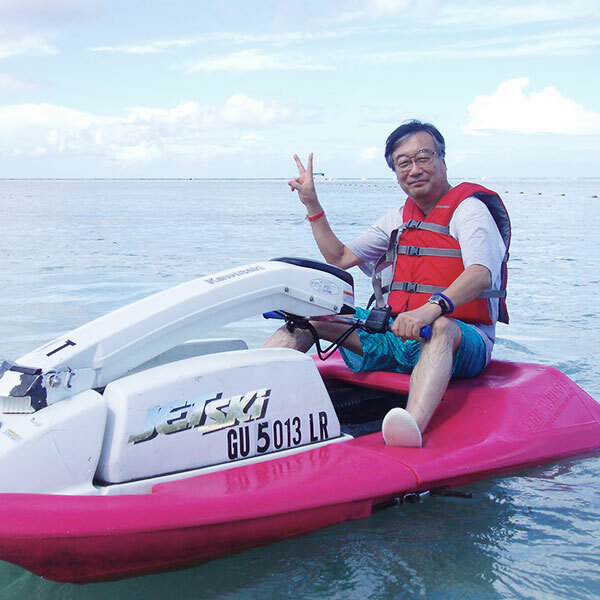 Only at ABC can you ride this one-person Jet Ski! ABC is the only place where you can choose to stand up or sit down whenever you feel like it! What are you waiting for? 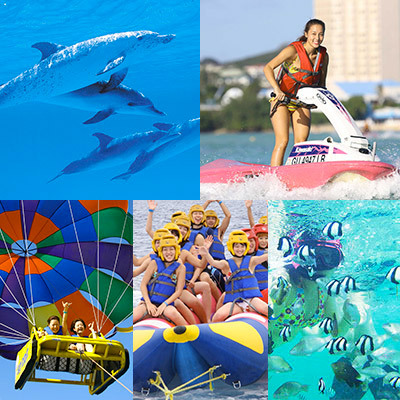 Book your Jet Ski tour today! 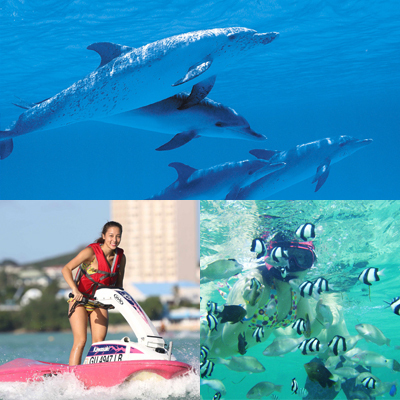 Our unique Jet Skis are perfect for beginners and experts alike. ABC’s unique design that allows you to sit or stand. Children ages 6 – 13 years old must be accompanied by one of our staff. Any adults may request to be accompanied by one of our staff as well. 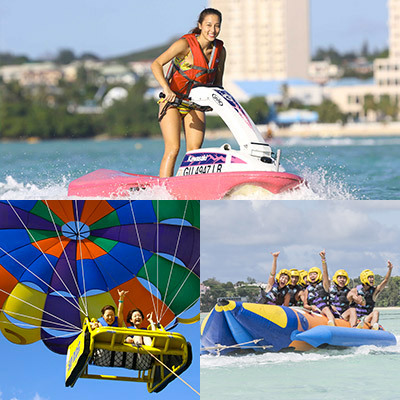 With the largest controlled course on Guam, you will be sure to have fun. Although many other countries require you to be a licensed Jet Ski driver, you do not need one to ride at ABC. Beginning at 9:40 a.m. the tours occur every 20 minutes until around 4:00 p.m.
Children 6 and older may enjoy the tour, but those from 6 to 13 years old will be accompanied by ABC’s staff. Depending on the weather conditions, the children’s tour may not be available. In the event of inclement weather, the tour may be interrupted, delayed or canceled. We do not advise that you bring any electronics or sunglasses with you on this tour. Please make a reservation at ABC’s beachside Jet Ski Briefing area. Please meet in front of the beachside Jet Ski Briefing area 5 minutes before your scheduled Jet Ski tour time. You will receive a Jet Ski instructional briefing which lasts about 5 minutes. Please wear the beach shoes and life jacket. Both are required on this tour. You will depart the Jet Ski stain area one by one. There will be no riding together or side by side riding. 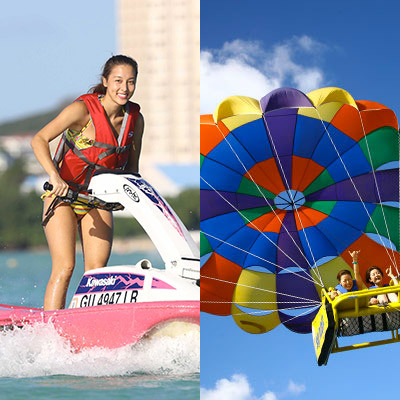 Choose whether to stand or sit on our unique Jet Skis! Ride the course for about 15 ~ 20 minutes and enjoy a fun tour! When the staff signals and whistles for you to return, please return in a single file manner. Please wear beach shoes that you can rent out on the ABC beach and join us in swimwear. Towels and changing clothes can be left in your locker. You may want to bring goggles to wear as the saltwater splash can get in your eyes. This activity is NOT scary. It is as easy as riding a bicycle! 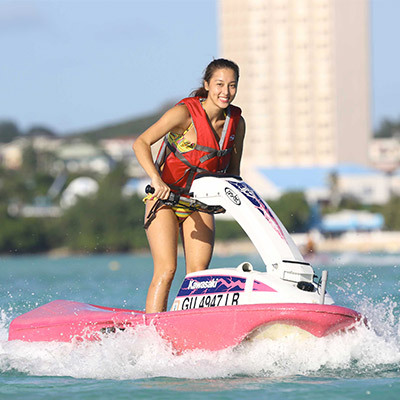 Many beginners have mastered driving our Jet Skis even if they have never ridden a motorbike. How many people can ride the Jet Ski? 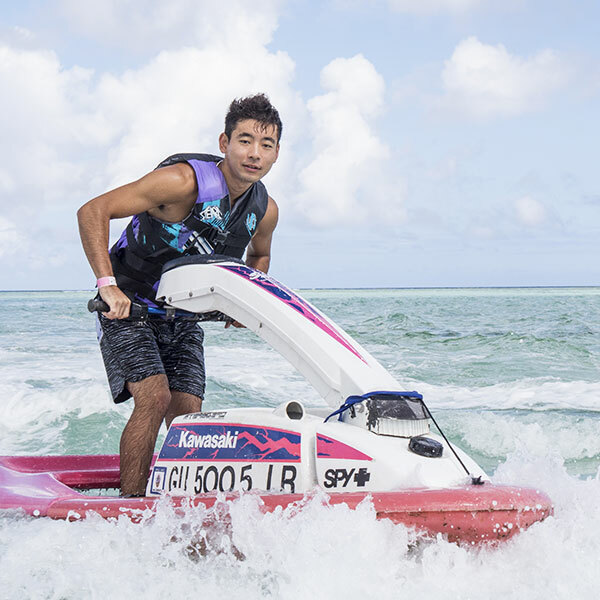 ABC’s Jet Skis are made for one person only. 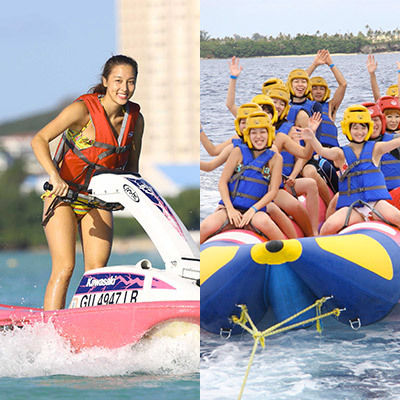 Participants who are 14 years or older may ride their own Jet Ski. 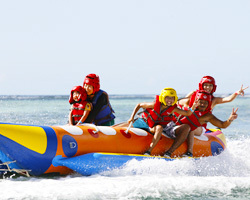 Those aged 6 to 13 will be accompanied by the staff on a different type of Jet Ski. Adults may also choose to ride with one of our staff. I can not swim, is it still OK to Jet Ski? Yes, it is still OK. Everyone is required to wear a life jacket.